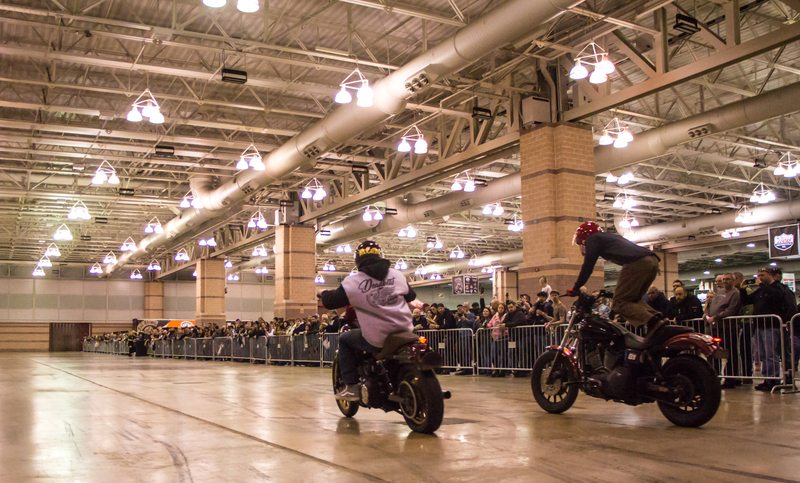 We headed down to the Atlantic City, NJ Easyriders show with the entire crew this year. This was the first time the Deadbeat Stunt Division did an indoor show. The space for the show was huge, over 300,’ and the team pulled it off even on the slippery polished concrete floor of the AC Convention Center. The shows also featured some nice chops from around the East Coast. I had a minute to snap some pictures of my favorites. TJ Mccaffrey tipping it back to a packed house!